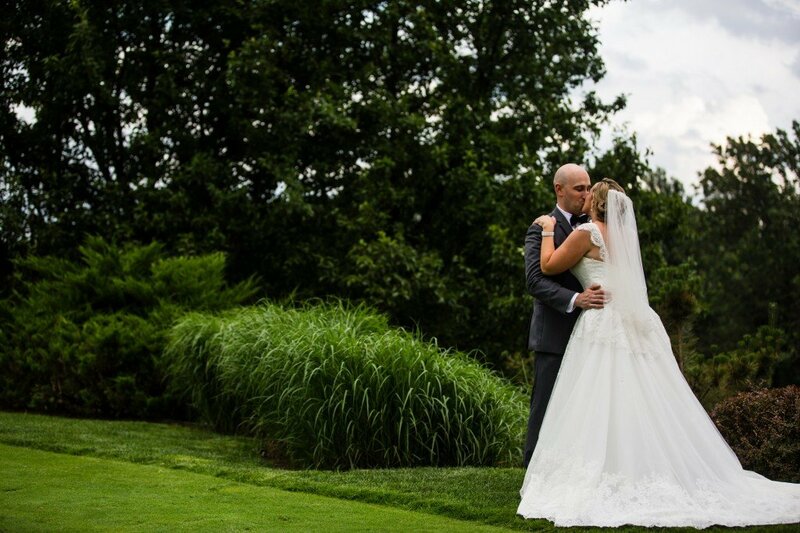 Today’s Le Bella Donna Bride Amanda tied the knot with husband Mike on June 23rd, wearing a timeless Mori Lee ballgown. Photos by Laura Napoli. We went to the concert and had the best time…Oh, and this was not just a few hour concert. It started at 12pm and went until 10pm in the evening. We had so much fun that we decided to meet up again on Memorial Day and just walk around the city getting to know each other better and check out some of the sights. From there, our relationship just grew. Later, when Mike woke her up in the morning and told her to look out of the window the day of a family barbecue the two were hosting, Amanda was expecting to see a new grill. Instead, candles and rose petals spelled out “Marry me?” Apparently, he had tried to get the proposal all set up the night before, but the wind had kept blowing the candles up, so it was a romantic sunrise proposal instead! I would say that I was very fortunate with my dress shopping. I only visited two stores and La Bella Donna was our first stop. I think I probably tried on about 20 dresses there, but it was the second dress that I tried on that I ended up purchasing. After going to the second store, I wanted to go back to La Bella Donna and try that one dress on again. Since they were still open, they told me to come back and after having it on the second time, I just knew. So, not only did I visit only two stores, I purchased my wedding gown on the very first, and only day shopping. When the salesperson tell/suggests you try on every dress, even if you think it is not your style, Listen. There were so many dresses that I loved that I would have never picked out for myself. 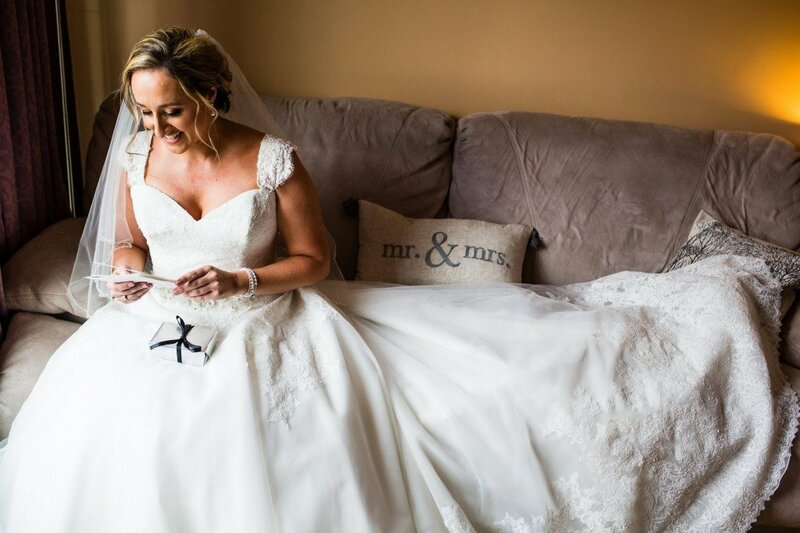 Besides dress shopping…when it comes to your wedding budget, add on about another $5K, if not more (and this is from someone who is very good with money and can budget). Also, any stress/drama that you may experience during the planning process, remember that when it comes to your special day, NOTHING else is going to matter. 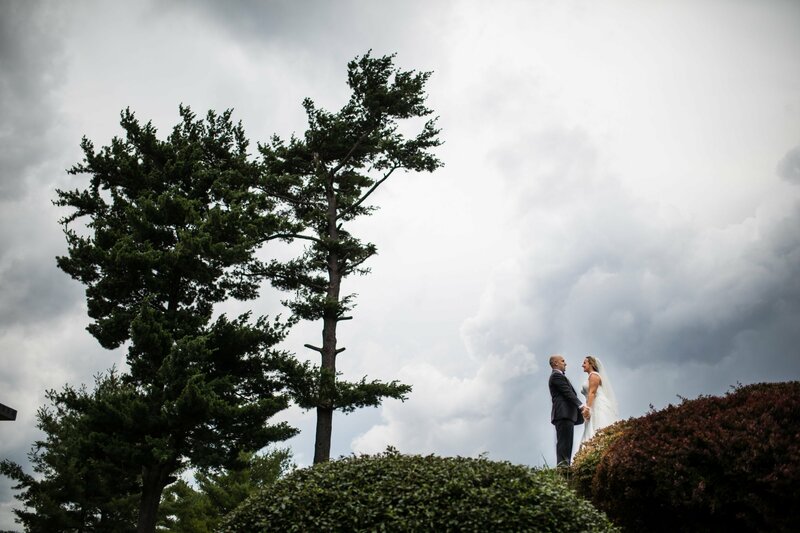 It all goes out the window because your focus is on that day, you and your Groom. Lastly, truly truly truly enjoy every minute of the planning and celebrating. It does go by quickly and is such a special time in your life. Celebrate it every opportunity you get! 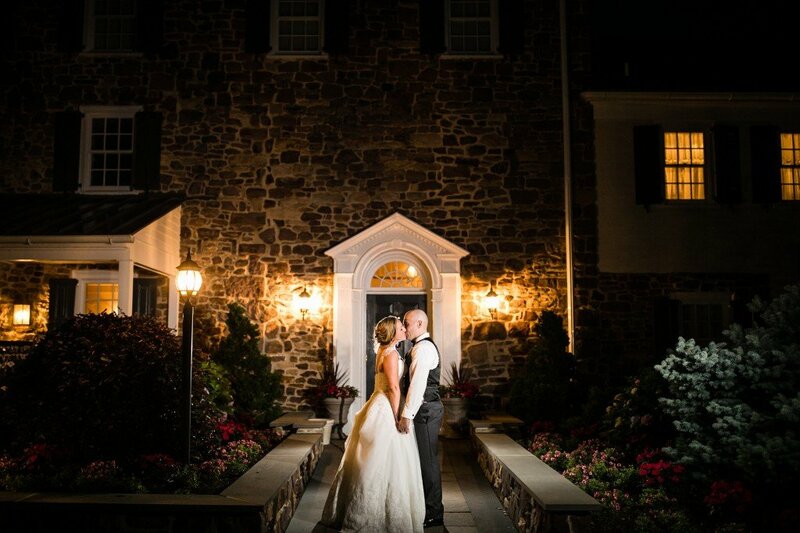 Amanda and Mike’s wedding was lucky from the start, with the bride winning big, getting free invitations from the David Tutera Wedding Expo and a free wedding video from their venue. 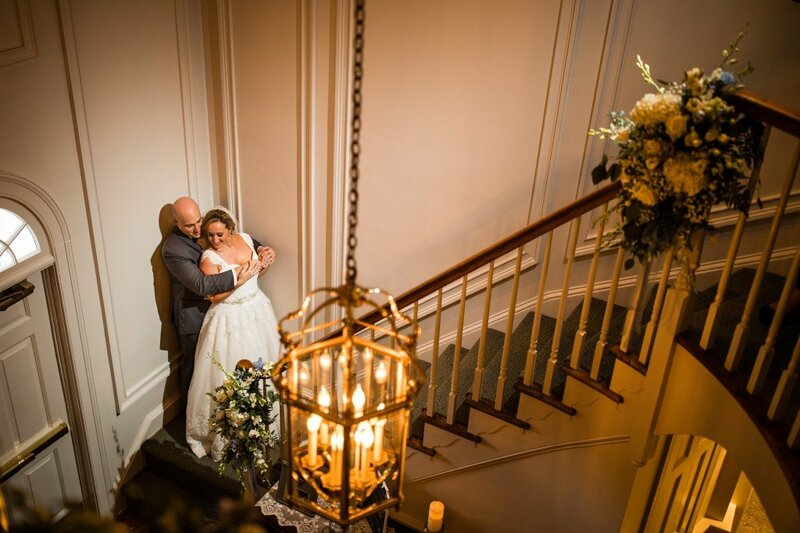 Her favorite moment from the big day was looking out with Mike during dinner and seeing all the people that were there to celebrate with them! 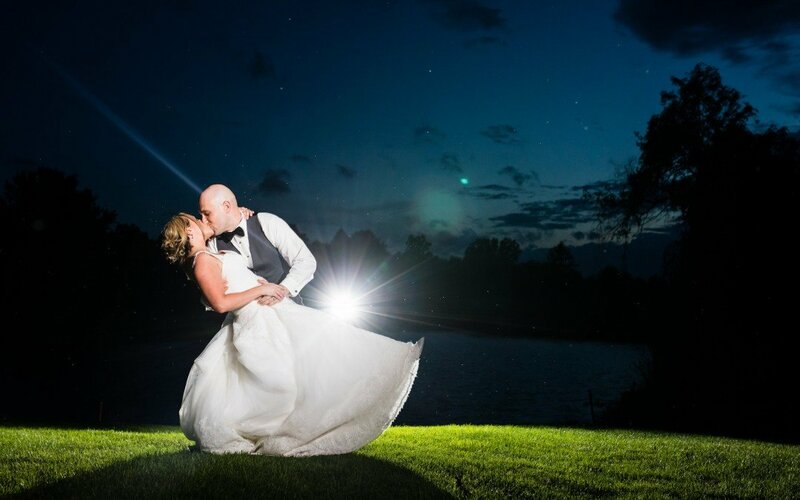 Congratulations Amanda and Mike! We wish you many years of love and happiness together!